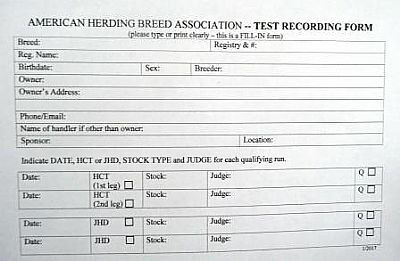 Allbreeds Herding UK | AHBA News,Trials,Tests. 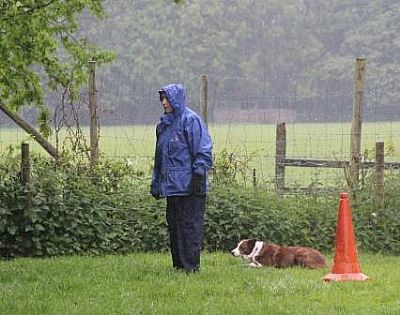 The thing to remember is that these tests and 'trials' are designed to build skills and confidence in the inexperienced handlers and / or dogs with experienced handlers. 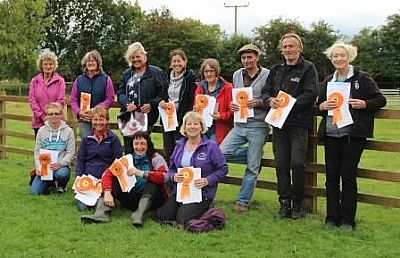 The aim of the sponsor and this group is to provide the chance to learn sheep sense and how to face assorted obstacles in a structured way, in the hope that it will help those with work to do, those who wish to try their hand at ISDS trials and those with no sheep but want to learn. We can provide sheep that know and work well with dogs, but not 'velcro' sheep that stick like glue to your legs whatever your dog does. Time to give us your details for entry. Thankyou! Please MESSAGE to Jackie the completed info! Katy and Nell, kept the sheep coming and going! 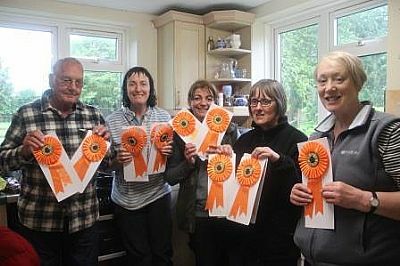 we had nine entries, with 9 dogs passing their tests. Events All Forms - in Word Format (current for 2017) - includes Sanction Form, Trial/Test Report Form, Trial and Test Recording Forms, scoresheets. If your dog does not already have a tracking number, use the KC or ISDS registration number. If it has neither, their is a form to apply foe one which AHBA will allocate. Please e mail me these details as soon as possible! 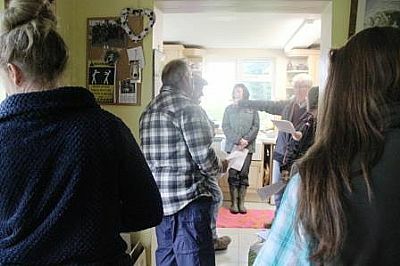 Test is primarily educational, tester must be flexible and supportive, the chance to show off your the first step towards a fully trained working sheepdog. The dog must have previous training to stop and recall with distractions. 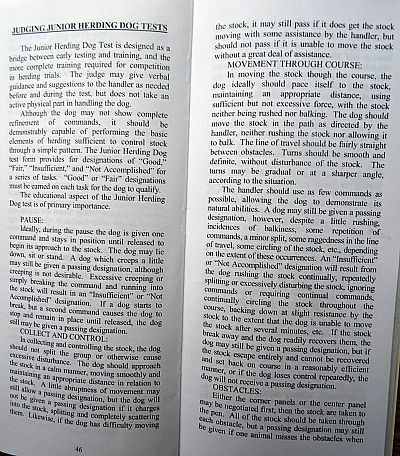 The tester may handle, help the handler or watch the handler working the dog but must stay close to avoid creating a double focus for sheep and dog. A light stick safe from points or sharp edges may be used with placcy bag or bottle on end to guide dog and sheep. 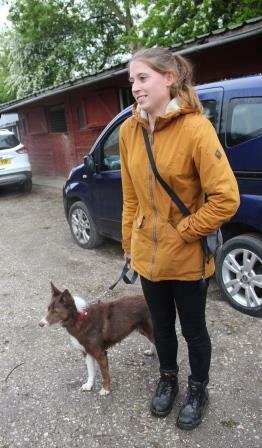 The owner/ handler bring dog in on a lead. The test can be passed towing the line, but not held. Once dog is free the handler and tester must move around allowing the dog to show it’s style of work, eliciting circling and controlling movements from the dog. Time given once the dog begins to show working moves to completion of the test will be three to five minutes, not more than ten mins. overall. 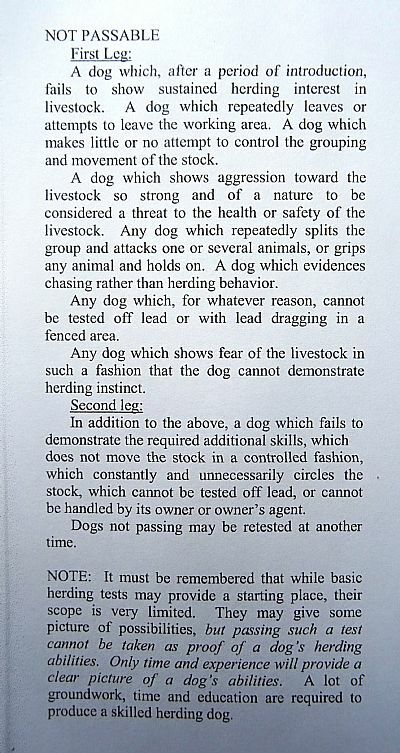 The dog is to be handled by owner or designated handler. Dog is brought in on lead positioned in a stay by handler, lead to be removed. 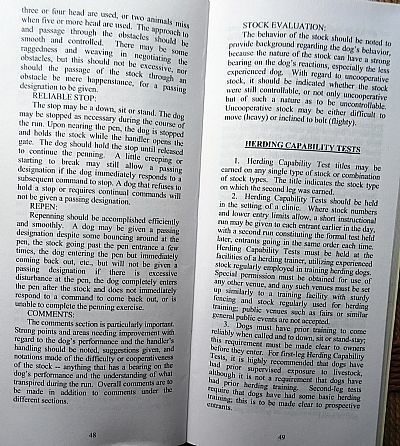 The handler may change position in relation to stock or send dog from his side after a brief pause. 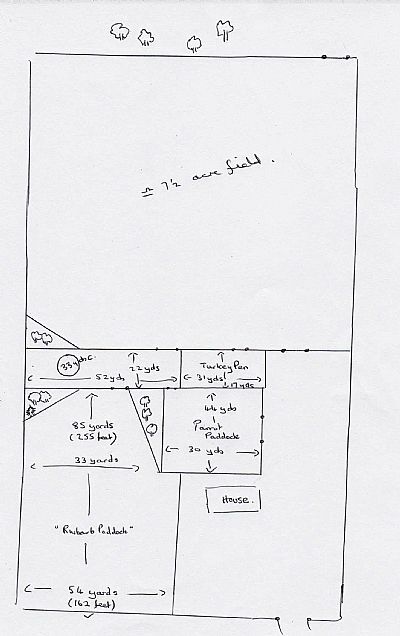 The pair should then be seen to move around the area controlling the sheep in various manoeuvres, simple straight lines plus changes of direction. At some point probably at the end of the test the dog should show a stop in any position and a recall from the stop. 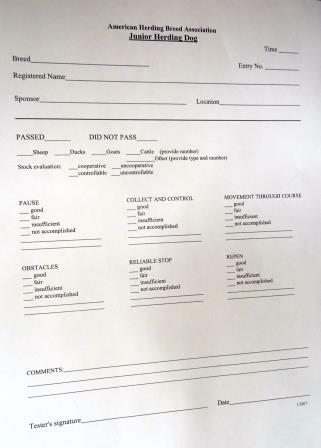 This a score sheet so you can see what and how the tests are judged! The stock to be at the top end of the paddock. The dog brought in on a lead no closer than15 foot from the sheep. Off lead, maintain Stop in any position before asked either to gather or drive the stock. Handler should base the decision on the reactions of the stock relative to the course. The centre hurdles can be taken either before or after the two corner panels, which can be taken from either direction. You need to take all 3 obstacles to pass. 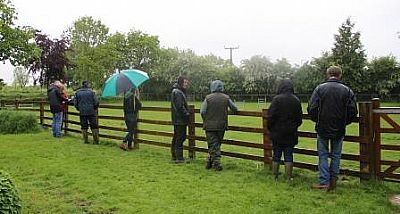 Test is complete once the gate out of the area is closed behind the sheep; 10 mins is allocated but dogs roughing up stock or showing lack of progress will be asked off in 5 mins. 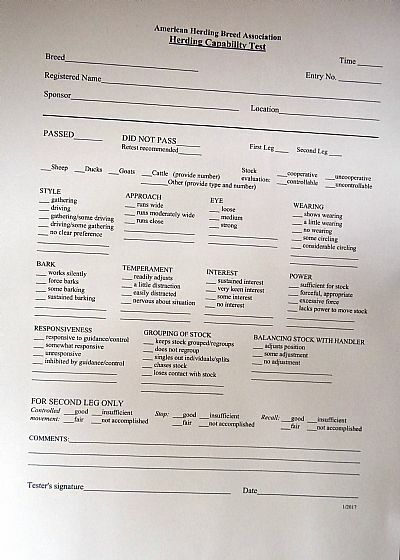 All the exercises must receive Good or Fair for a pass.